You can email me at maeclair (at) maeclair (dot) com or comment below if you have blog space available on September 10th and would like to host. If not, no worries! I know not every date works for everyone. I’d just like to toss End of Day out there on as many blogs as possible for added exposure. In the meantime, book one, Cusp of Night, remains available from all online booksellers. I’ve been blessed with wonderful reviews and can only hope End of Day is embraced in the same vein. Now if September 10th would hurry up and get here so I can share the cover with the world, LOL! I’m back from vacation! A bit overwhelmed with playing catch-up, but I hope to be back in the swing of things soon. Right now, I’d be remiss if I didn’t tell you about an uber-fab giveaway taking place. I’m a HUGE mystery/thriller/suspense fan, so this one is right up my alley. Felony Fiction has put together a giveaway for a $100 Amazon gift card. Just thinking about $100 worth of books has me doing mental cartwheels! Best of all, entering is easy and free. You can sign up HERE, then choose a few authors to follow on Bookbub. Easy peasy! You’ll be entered in the drawing, plus notified when any of the authors you follow has a new release (BTW, I’m on BookBub, and would love to have you follow me). I’ve become very impressed with BookBub as of late, and intend to start using it more for sharing book recommendations and posting reviews. I usually post reviews on Amazon and Goodreads, but BookBub seems to have a softer, kinder approach than GR. I also like the way I can add favorite books, and see myself putting a lot of effort into growing my following there. After all the prep and behind-the-scenes pulling my hair out, the big day is here! Cusp of Night is now available from all booksellers. I’ve got a crazy launch day, with an appointment that falls smack in the middle of the day, sure to keep me offline for a time. I’m apologizing in advance because I have so many wonderful bloggers helping me out, and I fully intend to make rounds and visit all my host blogs. I just may be a little late. I’m also going to be reblogging posts here. I hope you don’t get sick of me, but I’d love for you to meet the wonderful people who have agreed to host me. These are fabulously supportive friends and excellent authors in their own right. I’ve also taken the time to write individual posts for this tour (eighteen at last count) so there should be something new to discover at each stop. I’ve put a ton of effort into this book and have my fingers crossed all that work will pay off in the long run. There are a number of early reviews already floating around the blogosphere which have me giddy. I have one more that I hope you’ll indulge me with. Yesterday, Anita Dawes and Jaye Marie shared a review post from a different blogger as part of my tour. Today, they’ve posted their own review (along with a short excerpt of their choosing—which incidentally I love 🙂 ). If you get a chance, check it out, and show them some blog love. You can find the review here. If you’ve pre-ordered Cusp, THANK YOU, and I hope you enjoy the tale. 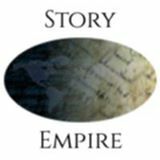 If you haven’t, and would like to, you can use this universal purchase link to discover the town of Hode’s Hill, and a mystery that lingers on the Cusp of Night and the cusp of a century! Thanks for visiting today, Joan. I have a number of probing questions for you. 🙂Let’s start with plotters and pansters. I think even plotters often veer from their outline during the writing process. When you finish a novel, how closely would you say the end product resembles your original concept — 100%? 50%? Something else entirely? I call myself a “planster.” I have a general idea of how I want the story to go and end, but doing a detailed outline would take the fun of writing away. Unseen Motives ended as I planned, but as I began writing, it took some unexpected turns. I planned for it to be a stand-alone novel, but ideas for two other books came as I began to write. I would have to say the finished novel is 75% in line with my original idea. 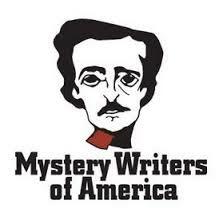 Isn’t it wonderful how those other books crop up and start whispering “series?” In the case of Unseen Motives, I’m happy to see where the next books in the series take you, as I’m a big fan of mysteries. What is it that attracts you most to that genre? I’ve always been fascinated with unsolved mysteries and intrigued with the idea of being a private detective. Of course, I want to solve the mystery! I can relate to all of those! How did you choose your title? I wrote this with the working title Willow Lake, and later changed the name of the town to Driscoll Lake. I played around with titles such as Hidden Intentions or Ulterior Motives, but there are countless books with those titles. I used a thesaurus and came up with Unseen Motives along with titles for books two and three, Unknown Reasons and Unclear Purposes. Excellent choices! Without giving too much away, tell us a bit about your favorite scene. A scene near the end (where the mystery is solved) was probably one of the most exciting ones to write, but there is a scene with Stephanie (the protagonist) and Matt (who becomes her love interest). He confesses something about his background and why he feels guilt over the death of his wife. Both Stephanie and Matt were wonderful characters. When you’re not writing, what else do you do? Do you have any guilty pleasures (fave foods, TV shows, silly distractions) you’d like to share? I remember having incredible Mexican food during a visit to Arizona. I love it too, but it’s not as authentic in the east. 🙂 Oh, and MASH. That was a fabulous show! How about pets? Pets and writers seem to go together like peas in a pod. What can you tell us about yours? I love animals and have three pets – an outside dog named Maggie and two cats, Tucker and Little Bit. Tucker is the inspiration for the cat Whiskers in Unseen Motives. Little Bit is a black tailless Manx and I featured him in a story I wrote for a Halloween Anthology. What’s Halloween without a black cat? Both cats tend to “hover” when I’m writing and Little Bit often climbs in my lap. They just don’t understand that Momma is working! LOL! I wrote a book review for Amazon last week and before I could click “submit,” my cat, Raven, walked across my keyboard and erased the whole thing! I had to redo it from scratch. Cats just don’t care what’s going on when they want attention. Dream vacation gifted to you by a fairy godmother: A trip to the Australian Outback. Favorite type of music: Classic rock, especially music of the sixties and seventies. Favorite musical group or singer: I’ve been a Beatles fan since I was six years old. A big highlight was being able to see Ringo Starr in concert a couple of years ago. Casual or dressy: Casual. I could live in blue jeans. Mountains or beach: Mountains. I love to get away from the Texas heat and humidity! I bet it was great seeing Ringo in concert. I feel in love with the Beatles as a tween and plastered my bedroom walls with photos of Paul McCartney. I think he was one of my first crushes. Thanks for visiting with me today Joan. Before you leave, please share the blurb for your newest release. Joan Hall has always enjoyed a good story. Some of her earliest memories are of her mother telling stories of family history and folklore. Joan developed a love of reading, frequented the school library, and spent countless hours immersed within the pages of books. At age ten, she realized she wanted to become a writer and began to scribble stories on pieces of paper. At age seventeen, she wrote a short novel and started writing another one. After high school, she set aside her desire to become an author for several years. However, the passion for writing never left her. Joan likes to create character-driven fiction with strong, determined female leads and male characters that are somewhat of an enigma. 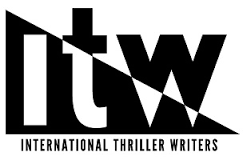 Her favorite genre is mystery and suspense—often with a touch of romance. Time for an ebook sale, gang! My friend, Sandra Cox, has a sparkling new book out—even the cover shines—and right now you can pick up your Kindle copy for .99c from Amazon. Please welcome Sandra as she shares her latest, THE CRYSTAL. Thanks for inviting me to visit today, Mae, and helping me get the word out about The Crystal. It’s always fun to be here and interact with you and the blogger friends. This book is about a young woman who really does see a tall, handsome stranger in a crystal ball. This book contains a mysterious crystal ball and an even more mysterious cat burglar. The road to true love isn’t just rocky, it’s downright dangerous. Starting toward the counter to get a closer look at the jewelry, Gabby paused as she caught a glint of color out of the corner of her eye. Shifting, she craned her neck to see but the tinted shimmer disappeared. Curious, she walked in the direction the flash of green came from. She took a step forward and ran her index finger along its smooth surface, the globe toasty warm against her damp skin. Drawn, she splayed her fingers until her palms nestled around it. A delicious wave of heat ran through her, like sitting in front of a crackling fire on a cold winter day. Ecstasy coursed through her body. Transfixed, she watched glowing green change to blue, its hues dancing and sparking like moonbeams on the water. The crystal pulsed beneath her hand. By degrees, the feeling of warmth disappeared and fear crept in. Her breath hitched as the color in the crystal fell away and a face formed. Its blurred outline moved back and forth, wraithlike and then sprang into sharp focus. The blood drained from her face, as her nerveless fingers dropped from the ball. The face in the globe belonged to the hard-eyed stranger she’d bumped into outside the shop only moments before. Available at Amazon for.99c through 1/23/17! Multi-published author Sandra Cox writes YA Fantasy, Romantic Suspense and Metaphysical Nonfiction. She lives in sunny North Carolina with her husband, a brood of critters and an occasional foster cat. Although shopping is high on the list, her greatest pleasure is sitting on her screened in porch, listening to the birds, sipping coffee and enjoying a good book. She’s a vegetarian and Muay Thai enthusiast. 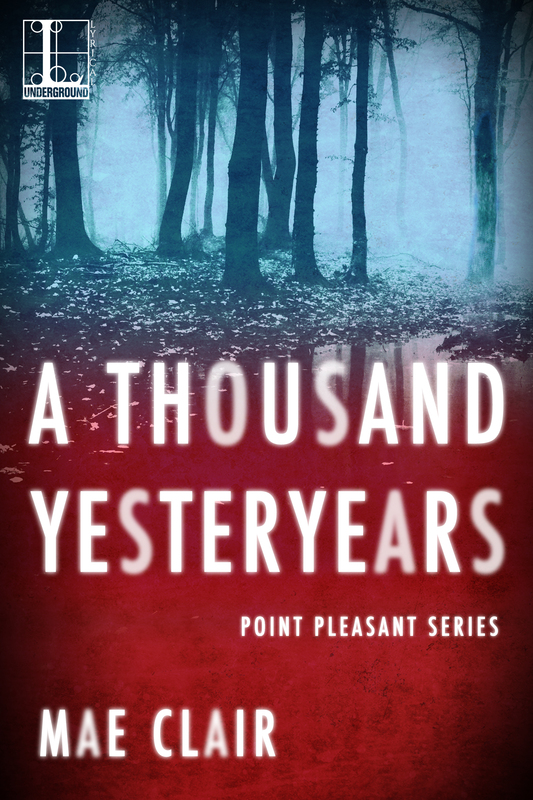 Thanks for joining me today as I unveil the cover of my upcoming mystery/suspense novel A THOUSAND YESTERYEARS. Kensington Publishing sent me the artwork the end of October, and it’s been torture sitting on it this long. Between a trip to the Dominican Republic in November, followed by holidays and family commitments in December, I didn’t want to roll it out. But the time has finally arrived. It’s a new year and Yesteryears, the first book in my Point Pleasant series, releases in four months. You can add it to your Goodreads TBR list and/or pre-order it from Amazon and all major book sellers. But first, check out this cover. It’s different than anything I’ve released in the past, but the genre is different for me, too. My main goal was that the cover capture the ominous feeling of the story. What do you think? I hope you’ll join me when the book rolls out. There’s a lot of research that went into this novel. Many of the events that are depicted, including the collapse of the Silver Bridge and sightings of the Mothman are based on historical fact. Release date is April 26, 2016. It’s October and that means pumpkins, ghosts, gobbly-ghouls and Halloween. 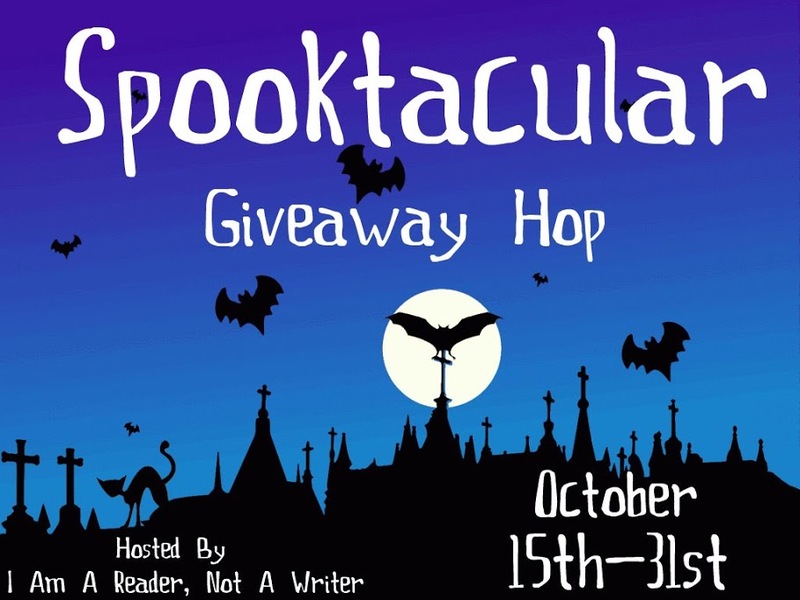 I love this time of year and am totally jazzed to be participating in the Spootacular Giveaway Blog Hop. Running from October 14th through the 31st, you’ll find tons of blogs offering goodies and giveaways. For the complete list of all of the blogs you can visit for a chance to win, click here. I’m giving away a $10.00 gift card to Amazon or Barnes & Noble (winner’s choice). And if you’re looking for a Halloween read, you’ve come to the right place. 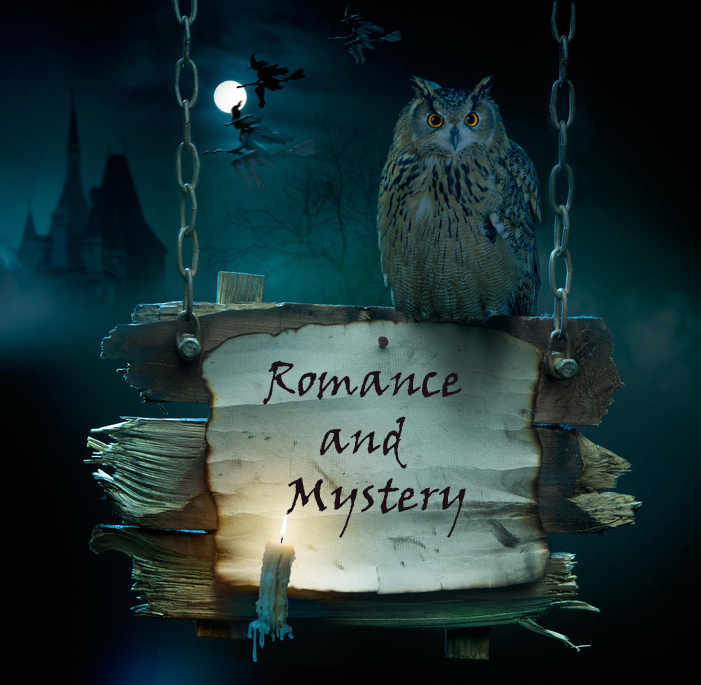 My romantic suspense/mystery novel MYTH AND MAGIC is on sale now for only $.99. Set during Halloween, it features plenty of shivers, hayrides, a lavish Halloween party and rumors of hauntings. Best of all—you’re invited! Please come in costume. Mrs. Morgana Breckwood has gone to a great deal of time and expense to ensure this year’s annual Halloween party will make her previous events “ghostly” pale in comparison. And yes, the rumors are true. There is a slim possibility her son, Caith, might show. Not sure about a costume though. You know how he feels about Halloween. Veronica’s stomach clenched as a mixture of fear and dread skittered through her. The expression in her eyes must have betrayed her unease because Morgana took her by the arm and drew her aside. Across the hall, the caterer and florist were busily consulting with the head of Morgana’s household staff. Three workers wearing black shirts that proclaimed Ghosts & Ghouls, Inc. wheeled a life-sized coffin through the front door. Having attended a number of Morgana’s Halloween parties, Veronica knew trays would be fitted inside the open lid, bearing all manner of delectable treats. Veronica clamped her mouth shut. Morgana was right. Even if Caith wouldn’t admit it, she knew it was the defining emotion that had driven him all of his life. The reason he’d chosen a career designed to keep others safe, the reason he’d given his son another name, the reason he still couldn’t bring himself to visit Trask’s grave. Veronica managed a small smile. The Ghosts & Ghouls people were pushing a series of crates through the door. Tall ones, large ones, squat ones. Sound like a party you’d like to attend? I invite you to discover the mystery, romance, and Halloween suspense of MYTH AND MAGIC, on sale now for just $.99 cents through 11/04/15. For a chance to win my $10.00 gift card comment below and tell me what you like best about Halloween, or what costume you would wear to attend the Breckwood Halloween party! 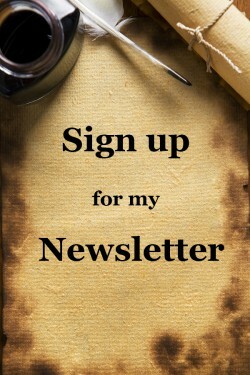 Please don’t forget to leave your email address, if I can’t find it by linking back through your blog or other online connection. Yep, you read the title correctly. 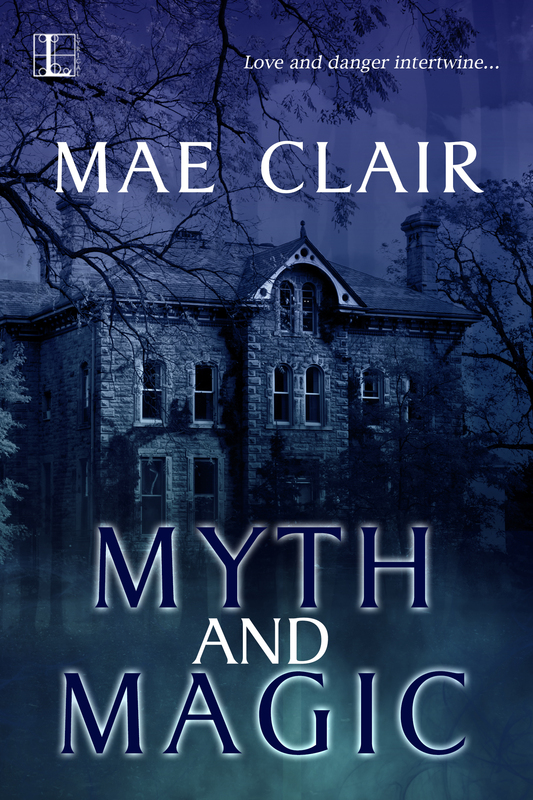 In celebration of October’s spookfest, the e-book version of my romantic suspense/mystery novel, MYTH AND MAGIC is on sale across all major retailers for just $.99. This is a Halloween-themed novel, so it’s idea for curling up with this time of year. If you like hayrides, Halloween parties, dressing in costume, old houses with creaking floorboards, and rumors of things-that-go-bump in the night, you’re going to love MYTH AND MAGIC. I’d be delighted if you would help me spread the word! Please come in costume. Mrs. Morgana Breckwood has gone to a great deal of time and expense to ensure this year’s annual Halloween party will make her previous events pale “ghostly” in comparison. And yes, the rumors are true. There is a slim possibility her son, Caith, might show. Not sure about a costume for him . . . you know how he feels about Halloween. Today’s tour stop for my Pump Up Your Book blog tour is with ToiBox of Words. As always, pop over if you can. And hey, about that Halloween Party–with my love of myth, I think I could have a blast there. How about you?